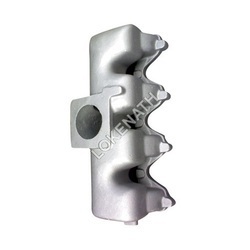 Offering you a complete choice of products which include aluminum casting for air intake manifold. Our organization is engaged in offering an extensive range of Air Intake Manifold that cater to the needs of water & slurry pumps, machine tool and power transmission industries. These are precision designed having superior machined intake runner surface. This helps in reducing the turbulence in order to increase the speed & volumetric efficiency of intake manifold. Looking for Aluminum Casting for Air Intake Manifold ?